We could have made this blogpost one sentence: Almost every carabiner you use will be non-locking offset D’s, with the exception of a Pear/HMS locker as your belay ‘biner. Yet, that’s just not satisfying for us, it doesn’t answer WHY each carabiner shape exists and how it’s intended to be used. In the most broad sense, you could grab most any carabiner and use it in most any circumstance. Enthusiasts can still climb hard even if their rack is exclusively ovals. However, you may be disappointed in the performance, especially if you’ve ever experienced using a carabiner specifically designed for the purpose you’re using it for. There are only a handful of general ‘biner shapes and knowing how and when to use each shape can make the vertical life much more enjoyable. To start, it’s most helpful to know what job you want your carabiner to do. Describe exactly how you will use it: Is it going to primarily be for clipping bolts while sport climbing or racking nuts while trad climbing? Will you be using it for a belay ‘biner or for a Bachmann knot? And, what’s your budget? With those answers in mind, we’ll discuss the styles in order from most available and popular to the least. You’ll soon be able to tell the best shape for each job you have in mind. 60% of the carabiner market, click to see them all. A slight modification of the standard D carabiner (described below); the top of an offset D carabiner is much wider, allowing for a larger (and superior) gate opening. When loaded, most of the weight is transferred to the spine of the carabiner which creates greater strength than most other shapes. Sport Climber: Most likely all of your non-locking carabiners will be offset D’s. For an effective sport climbing rack you’ll need a minimum of 14 offset D’s used in 6 quickdraws (2 ‘biners per ‘draw) and 2 ‘biners for the chains. Depending on the length of routes you climb, you may want 20+ quickdraws (through 12 ‘draws is pretty standard starting out). Indoor Climber: Most climbing gyms have permanent draws in place for lead climbing. If you climb exclusively indoors, the only carabiner that is required for leading is your belay ‘biner which will likely be a Pear/HMS shape, so technically you don’t need any offset D’s. However, many folks use them for their chalk bag. Trad/Alpine Climber: Most likely all your non-locking carabiners, including your ‘draws and racking ‘biners, will be offset D’s to keep weight down. If you own cams and slings, we envision a minimum of 24 offset D’s but that number is entirely dependent on the number of pieces you own and will increase as your rack grows. Bottom Line: The advances in forging technology have allowed this shape to be incredibly light and strong, making offset D’s the most common carabiner shape. Most of your non-locking carabiners, will be an offset D, especially since they dominate 60% of the market. 22% of the carabiner market, click to see them all. The Pear/HMS carabiner is used primarily as a belay ‘biner. These ‘biners are almost exclusively locking carabiners, and are essentially what would happen if an offset D mated with an oval. Wikipedia helped us out officially defining HMS as an abbreviation for the German word “Halbmastwurfsicherung” meaning “half clove hitch belay” – or Munter hitch. The Munter hitch requires enough room on the carabiner to take two turns of the rope without getting close to the gate, which is the driving design criteria for these carabiners. The word Pear is used interchangeably with HMS. It’s easy to visually understand the pear shape (and “HMS” specifically refers to the wide, more symmetrical top). This shape shifts some force from the spine to the gate so like ovals, they’re not as strong as D/Offset D carabiners. That is why they are generally heavier: they utilize more material to gain back the lost strength. Bottom Line: Although you can use Offset D locking carabiners to hold your belay device, history has made a Pear/HMS the most popular choice. One reason that a Pear/HMS is touted superior is: if you, unfortunately, dropped your belay device you could still use a Munter hitch to belay/rappel. Today many climbers don’t know how to tie a Munter hitch, so this is of little help. But the shape does sit better in your belay loop than an offset D, and it often provides a smoother belay. 8% of the carabiner market, click to see them all. Classic. The first carabiner shape to be mass produced (in the US we thank Chouinard and SMC). When loaded, the pressure is shared equally on both sides of the ‘biner. Since the weaker gate shares the load with the spine, oval biners aren’t as strong as shapes that direct the load to the stronger spine. Bottom Line: Oval carabiners are All-arounders — not the best for most jobs (other than racking your nuts and aid climbing). Ovals work OK for any other job you need ’em for. Historically, ovals were the go-to workhorse, but there are so many benefits of other shapes that ovals are becoming obsolete for most uses. 7% of the market, click to see them all. D’s have a symmetrical shape that sets the rope closer to the spine, putting the load on the spine (versus sharing the load with the weaker gate side, like the oval). Since the strongest part of the carabiner carries the weight, D’s are the strongest shape. Wiregate/Solid Gate D’s: None. There’s no best use for a D shape carabiner. If you have some, you can use them for anchors, or for aid climbing, or to hold your rescue kit. They’re strong, but their shape doesn’t make them excel in any particular area. Locking D’s: You could use one for your outdoor multi-pitch climbs… though generally the offset D’s lockers will be even lighter if you don’t want the weight of an HMS/Pear. Bottom Line: There’s no incredibly compelling reason to purchase traditional D shaped carabiners. Historically they were an improvement upon ovals as they were significantly stronger. But with the development of the Offset D, the standard D quickly became less desirable. D’s used to be substantially less expensive than other shapes, but manufacturers have been able to lower the price for all carabiners (think: more efficient forging, and offshoring) so D’s no longer have a significant price advantage. 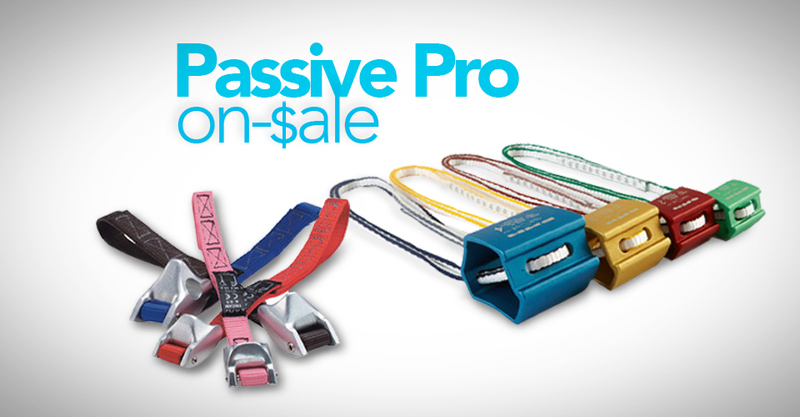 1% of the carabiner market, click to see them all. Although most climbers wouldn’t refer to this shape as a “carabiner” they are certified by the same EN standard as all the other carabiners. These semi-permanent links ensure the gate will not accidentally open. They are not used while climbing up, though they can assist when setting up a semi-permanent rappel station. Alpine/Trad/Mountaineering: If you’re setting up your own anchors, and rappel stations (say around trees) this can be helpful so you don’t have to rappel on webbing alone. These links are lighter than rappel rings. Sport Climbers: If you saw a super worn out chain link, you could add an oval link to act as a stronger chain link for a safer rappel (not common practice). Bottom Line: The only common use is in anchor situations. If you do not set up rappel anchors/improve rappel stations, particularly in the alpine, then there is no need to carry ’em. Semi-Circles: Buy if you need to secure a chest harness (where you would end up cross-loading any “normal” shaped carabiner). 3D shapes – Designed to increase the gate opening of locking carabiners and to reduce the chance that the rock will rub your rope and/or the locking gate open. Buy if you’re the curious type and have money to burn. They’re not cheap, and there’s not many in the US. Each carabiner style has (or had) a purpose and a scenario where it performs better than any other ‘biner. But most of us simply won’t ever use each style to their full potential. Once you have a grasp of the basic styles and shapes, it’ll become easier to determine what really differentiates the hundreds of carabiners on the market. Like the subtleties of nose design, gate action, or forging techniques. Once you settle on a shape, it’s time to get into the nitty gritty details, to really ensure your experience is the best it can be. Still have questions? Or want to add more “best uses” or history? Write us in the comments!